This post is an interview with my awesome friend Petr Filippov, who lives and works in Ireland. He talks about his experience of living in an English-speaking country and gives some tips on learning English. 1 Tell my readers a bit about yourself. I am software engineer. 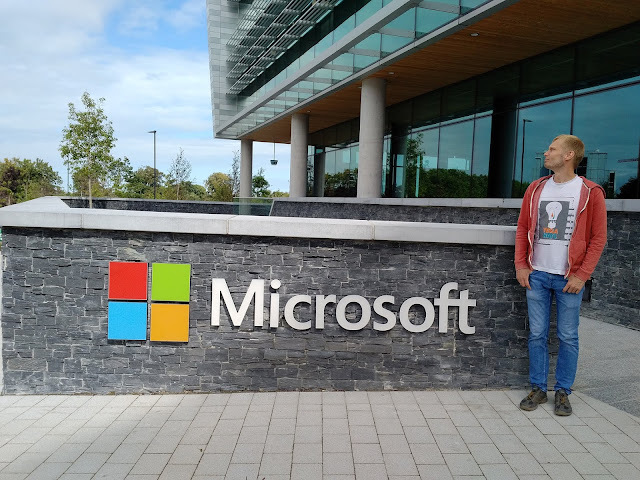 About two years ago I moved to Ireland from St Petersburg when got an offer from Microsoft. 2 Do you like living in Ireland? Yes, I do. It became better after I started to explore it - travel around my home area and to the other parts of Ireland, started to pay more attention to the things around me and enjoy the nature, like Dublin mountain which is just behind my house. But there are a lot of things that might annoy you first time. Left side driving, housing problems and long term rent contracts. The rent prices itself - I was really surprised when realized that it will cost about half of my monthly salary to rent an apartment here. Assess my C2 Proficiency essay. Please. I’ve always been curious to find out one thing. If a person has excellent English, can they write an excellent exam essay based on the instructions only, without any preparation? They should be able to, right? I’ve decided to do an experiment on myself. My IELTS score is 9. I am toying with the idea of taking C2 Proficiency (formerly known as CPE). 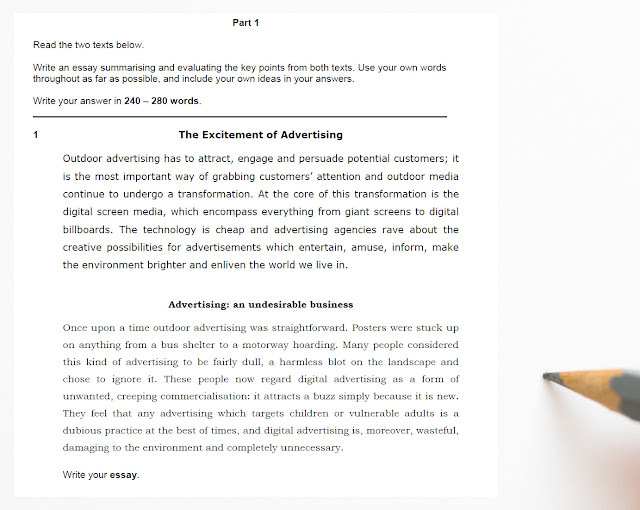 I have written a Part 1 essay based on the instructions only, without reading any tips, explanations, or model answers. In this post, I want to share my essay, and I am inviting everyone to assess it. Part 1 Read the two texts below. throughout as far as possible, and include your own ideas in your answers. Write your answer in 240 – 280 words.